DRI-Fit technology. 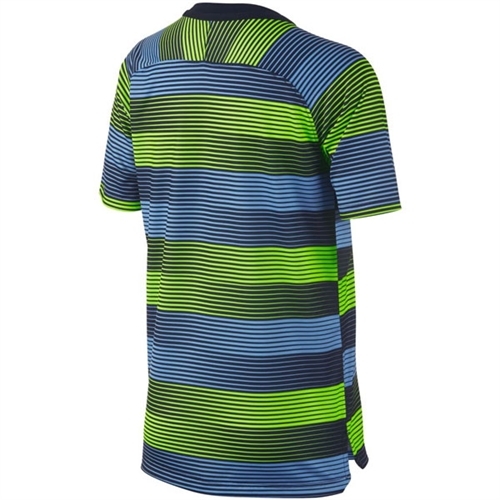 With a vibrant allover sublimation print. Performance fit. Neck tape finish on the outside and a new side vent for zero distraction and wider range of motion. 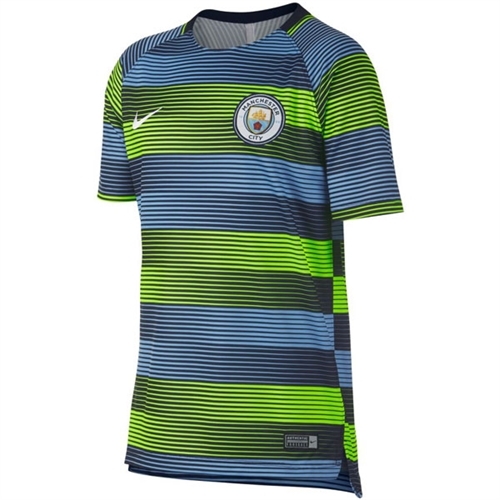 Our Nike Manchester City Pre-Match Youth Training Jersey 2018 is made with sweat-wicking fabric for lightweight comfort. Featuring a woven team crest and signature details, this training jersey proudly celebrates Man City when you're warming up on the field.